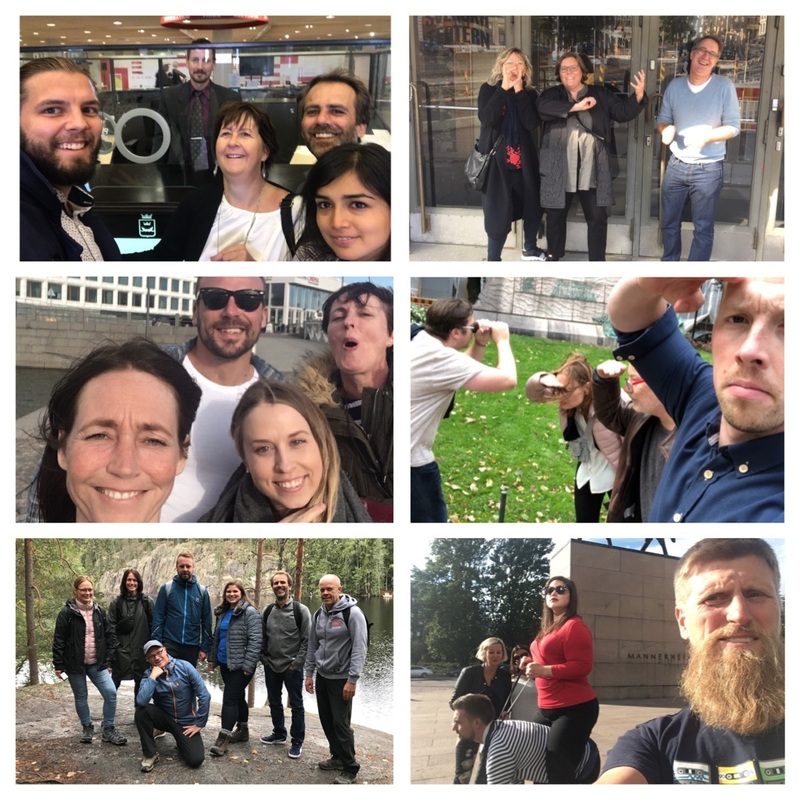 Teachers and school developers from Denmark and Great Britain gathered in Helsinki for a September week full of immersion in the Finnish educational system and observation of the three T’s (time, talent and technology). We welcomed new participants and had a warm reunion with those who have been a part of the project for longer. The week started off with a welcome session that, true to Finnish tradition, included sauna and swimming. The following two days were spent in two schools where participants got to know the school, observe lessons and even teach Finnish students. The afternoon time was spent reflecting and finding those transferable ideas that one could take home. One day was dedicated to familiarizing with the educational system and the work of the Innokas Network which supports schools in developing 21st century skills through the innovative use of technology. Participants also immersed in gaming when they were introduced to and competed in the pedagogically relevant Seppo-game and discussed how to use gamefulness in education. The last day of the week provided an opportunity for each delegation to present their thoughts and reflections to each other and discuss together while enjoying a traditional cinnamon roll. Reflections on technology included discussion on the pedagogical use of technological tools. Technology was seen to motivate students and participants observed that the tools for these activities are in place and available in Finnish schools. Talent was discussed for one with reference to supporting talented students which is an area that needs development in the Finnish system. Currently most emphasis is placed on the support of students with special needs. Time was approached from both the students and the teachers perspective. Short school days and lesser control were discussed and an observation was made that Finnish students still seem to have clear boundaries and guidelines within which to work autonomously. Differences in teachers’ working hours got the participants thinking about the pro’s and con’s of varying work day models. On one hand the freedom to leave work after teaching was valued and on the other hand set working hours would secure more joint planning time and possibilities for collaboration. This entry was posted in Uncategorized on October 2, 2018 by katisormunen.